If all of the identified vehicles are recalled, it would be the automaker's biggest in terms of affected units, excluding the ongoing Takata airbag recall. TOKYO — In the month before he leaped to his death from a roof at Subaru's assembly plant in central Japan, the veteran risk-assessment worker logged 105 hours of unpaid overtime for the carmaker. The month before that, it was 61 hours. It was 96 the month before that, and 84 before that. And so on. According to an attorney for his family, the workload was more than the Subaru factory employee could take. Standing seven stories up that chilly December morning in 2016, the 46-year-old father of two text-messaged his mother: "Please forgive me for going before my parents. I can't find a way to overcome the current situation." And then he jumped. If the worker's untimely demise was an isolated tragedy, his grueling work regimen wasn't. At the end of last month, responding to public accusations that Subaru perpetuates a pressure-cooker environment, the automaker acknowledged that some facilities in Japan compelled thousands of workers to forgo millions of dollars in unpaid wages by working overtime off the clock. Subaru acknowledged knowing about the problem a year ago. But the company publicly confirmed it only after the family attorney for the man who died, who described the man's final moments, held a news conference in January to pressure Subaru for damages. Attorney Tamaki: A Subaru worker’s suicide led to overtime payouts for others. It is an image that contrasts starkly with the face of Subaru in the United States, its biggest and most important market. In the U.S., the carmaker expects in 2019 to cruise to an 11th straight year of record sales. It is a brand that can seem to do no wrong, with a portfolio of bulletproof products wrapped in the feel-good vibe of its charitable "Share the Love" marketing campaigns. But Subaru is straining under the booming demand it has created. A rash of production hitches in Japan has slammed Subaru's reputation in the home market, torpedoed its Japanese sales and triggered corporate upheaval. The problems are now creeping into the United States in the form of recalls and lost shipments. The simmering problems are now beginning to worry some U.S. Subaru retailers and company managers, according to internal documents seen by Automotive News. Some of their unease focuses specifically on whether the pressures might affect this summer's planned production launch of the next-generation Outback crossover, an important cash cow for the brand. "We continue to be concerned that [Subaru] is not making the necessary investments and changes fast enough to ensure that vehicles are being produced with the quality the brand and its customers deserve," the marque's U.S. National Retail Advisory Board wrote in a Sept. 18 resolution to top Subaru management in the U.S. and Japan after last year's rollout of the U.S.-built Ascent crossover was marred by a recall. The board "would like to express its disappointment with the continued poor product quality and with the poor launch of the new Ascent." Tom Doll, CEO of the automaker's U.S. subsidiary, Subaru of America, acknowledged in an interview last week at the Chicago Auto Show that dealers had expressed concerns to Subaru in Japan. But Doll indicated that whatever challenges exist will be worked out, and he said he expected no delay in any product launch. "This situation is going to correct itself," Doll said. "A lot of it's growing pains, right? ... But we're not concerned at all about whether or not it's going to get fixed or not. It will get fixed. We're hopeful that it gets fixed fairly quickly." Subaru’s plant in Indiana produces the Outback, Legacy, Impreza and Ascent, which had its launch marred by a recall. Subaru’s U.S. dealers have registered concern about the brand’s vehicle quality. Separate from Subaru's manufacturing glitches, one U.S. supplier of stamped metal parts to Subaru's vehicle assembly plant in Lafayette, Ind., has been struggling to keep pace with Subaru demand as the redesigned Outback enters preproduction. Fukai Toyotetsu Indiana Corp. had 222 workers quit from its plant in Jamestown, Ind., between May and September and experienced an exodus of 74 more between early December and early January, according to an internal Subaru report on the matter dated Jan. 18. At that time, according to the report, Fukai Toyotetsu was 25 people shy of its goal to have 312 workers on staff. The strapped supplier had expected to have 371 workers by early April. The internal report commented that Fukai Toyotetsu's employees were "still working excessive daily and weekend overtime just to maintain current production." It said that maintenance teams were working 12-hour shifts, seven days a week "until further notice." Repeated efforts by Automotive News to reach the management of the stamping company for comment were unsuccessful, and numerous phone messages and emails were not answered. The Subaru report claimed that training for new workers at Fukai Toyotetsu was "severely lacking" with "most put on line with little to no training, creating quality and turnover issues." Stamping has little oversight from quality assurance teams, it said. The report also cited concern that the supplier's stamped parts, such as radiator panels, suffered from splitting, a defect caused when metal is pressed too thin. The report concluded that the start of Outback production, expected as early as August, "is in serious jeopardy!" The report said Fukai Toyotetsu was trying to stem the rapid employee turnover by turning to employment agencies, holding job fairs, taking out more newspaper ads and re-evaluating pay. 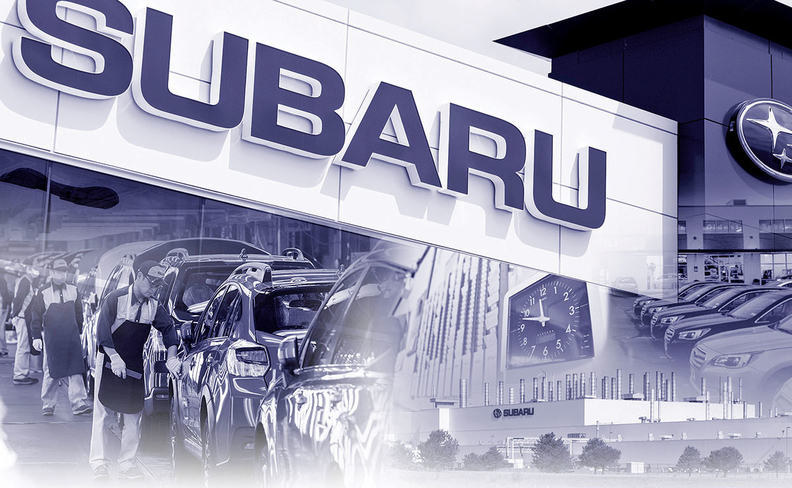 At Subaru of America, Doll said that those manufacturing issues are handled by Subaru's U.S. manufacturing unit, Subaru of Indiana Automotive Inc.
Doll said Subaru's Japanese parent company has been addressing quality problems. 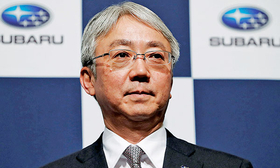 He noted that it appointed a quality czar, Atsushi Osaki, in Japan last year to lead Subaru through its problems. "He's made significant changes to the manufacturing process and the quality-control aspects, both in Japan and at our factory in Indiana to try to make the quality better and to improve it," Doll said last week. "Obviously, these things take time." The local Labor Standards Supervision Office ruled the suicide a case of "death by overwork," a phenomenon common enough in Japan that there is even a Japanese word for it: karoshi. Workers in Subaru's Japanese assembly plant have been pushed to work longer hours to feed the ever-growing U.S. market. To meet that demand, Subaru has admitted to resorting to such shortcuts as altering vehicle inspection data. 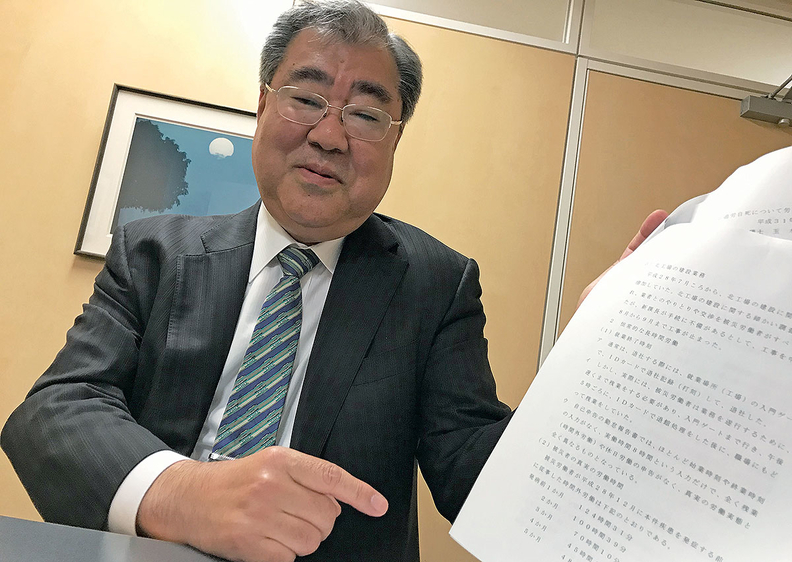 And in white-collar offices, employees turned to ploys such as continuing to work long after officially punching out, Tamaki said. Subaru says the suicide spurred it to survey the overtime practices of some 17,000 employees between July 2015 and June 2017. It found that about 3,400 workers performed unreported "service overtime," often because they felt pressure to not exceed internal limits on overtime. But Mariko Ohgi, a Subaru spokeswoman in Japan, said the custom of working unpaid overtime was not widespread at Subaru and that it affected only a small portion of the company's 17,000 workers. Confusion about overtime rules by workers and managers also contributed to the problem, Ohgi said. If the boss doesn't order an employee to work late, for example, but the worker stays voluntarily to finish anyway, does that count as bookable overtime, she asked? Subaru said it has found no cases in which supervisors ordered employees to underreport overtime. But in Japanese culture, where every yen is sacred, workers didn't need to be asked, attorney Tamaki told Automotive News. "There is a corporate mentality that you shouldn't claim overtime," Tamaki said at his Tokyo office. "There's a deadline for the work assigned, and you have to meet that deadline at all costs. 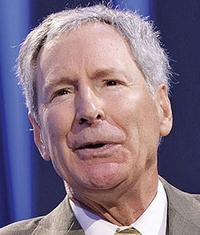 I think it's really the company trying to make a bigger profit by controlling costs." But the overtime revelation was just the latest black eye for Subaru in Japan. Last month, Subaru lost almost 10 days of output as it stopped production at its sole assembly plant in Japan. Lines were halted to address a problem with electric power-steering units in the Forester and Crosstrek crossovers as well as the Impreza small car. That shutdown affected all models made in Japan, and Subaru suffered some 30,000 units of lost output. Subaru said the glitch might dent shipments to the U.S. by as many as 10,000 vehicles. Doll noted that none of the quality issues made their way into the U.S. But Subaru says it still is assessing the hit to overall sales and earnings. Before that setback, the parent company already was forecasting a third straight year of declining profit. During last week's fiscal third-quarter earnings announcement, Subaru cut its operating profit forecast for the current fiscal year by 15 percent, mainly because of the shutdown. In the U.S., Subaru reports that it still has growth ahead, but it now expects its slowest growth rate in years, partly because of crimped supply as Japan sorts out its quality problems. U.S. volume is forecast to rise 3 percent to 700,000 vehicles in 2019. But speaking to Automotive News in January at the National Automobile Dealers Association Show in San Francisco, Doll said the company had lowered an earlier 2019 U.S. forecast because of tight vehicle supply. "If we could get more, we could sell more," Doll said at the time. Such growing pains bite as Subaru targets aggressive growth. Nakamura: Business plan calls for higher sales. Over the last decade, Subaru has steadily risen from the 20th best-selling brand in America to No. 7. And Subaru President Tomomi Nakamura, who took the helm last year, laid out his first global business plan last summer to keep that momentum going. Nakamura's blueprint calls for lifting North American sales 20 percent by March 31, 2026, from the 768,000 it had forecast for the current fiscal year ending March 31, 2019. By that time, according to Nakamura's road map, U.S. sales alone should swell to 850,000 vehicles, pushing Subaru to a 5 percent U.S. market share — compared with a 3.9 percent share in 2018. 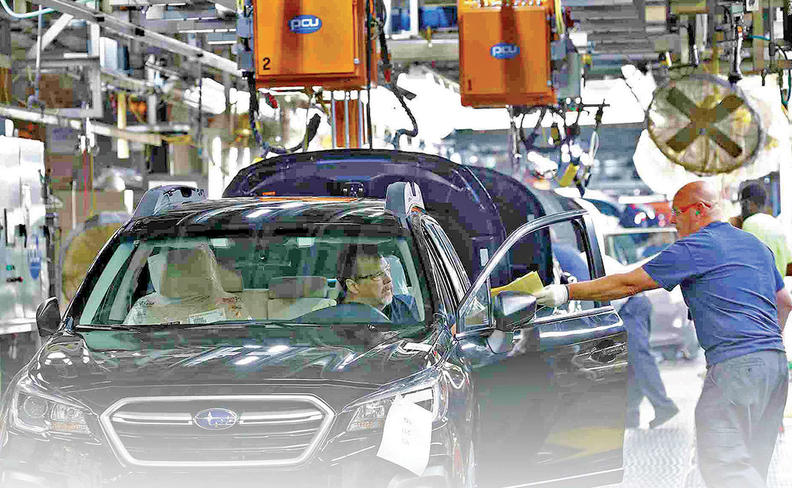 What happens in the U.S. matters because it has outsize impact on Subaru's global business. U.S. sales account for 65 percent of Subaru's global volume. But in the U.S., Subaru has a mixed record in some measures of quality. In the closely watched J.D. Power Initial Quality Study, Subaru has finished below the industry average every year since 2008. It ranked fourth from the bottom in 2018. Last year's recall of the just-released Ascent, to fix missed spot welds, worried some dealers. In September's communique to company management, the retail board pulled no punches. "Unfortunately, customers continue to have many issues with their Subarus, and the brand continues to slip in IQS and other industry metrics related to product quality," the board wrote. "This is unacceptable and contradictory to what [Subaru] continues to tell the [board] and retailers about improvements being made thru quality initiatives." The retailers made several recommendations. Among them was benchmarking manufacturing problems against other brands and implementing a process for ensuring quality at lower-tier suppliers, including a stronger mechanism for dumping those that don't perform. The board also suggested simplifying the number of model and component variants. Another request was to adopt more stringent quality-control measures "like the ones used in Japan" for rudimentary work, such as body welds and hood alignment, at Subaru of Indiana Automotive to catch mistakes as they happen and fix them. Back in Japan, executives have identified several root causes of the lapses, including a lack of awareness among inspectors and other workers about proper procedures and standards. But chief among those triggers, the company conceded, was an "excessive volume of work." In announcing a 4.7 percent increase in quarterly operating profit and a 3.5 percent rise in global sales last week, CFO Toshiaki Okada conceded the company had trouble keeping up. "Our company's size has grown bigger in just the span of a few years," Okada said. "We should have increased our capacity accordingly in terms of management and facilities. The pace of growth was faster than we expected, which we think has resulted in strain." He added that Subaru would try to make up for January's lost production, but carefully. "Our top premise is that we will manufacture cars by ensuring quality," Okada said. "We won't seek to ramp up production hastily," he said. "We think it is very important to fix that, and we must ensure quality, compliance and safety. That is our company's mission."